Bobbin Winder (CMbw-01 / CMbw-02) - Charming Star International CO., LTD.
A bobbin winder is the machine winding the thread at the top of the machine. The winder is the important part of the stitch process when using the sewing machine; for this reason, it can be found on every sewing machine. Bobbin winder is used for winding yarn on the bobbin. It is easy to set and adjust for different size bobbin with a given range. 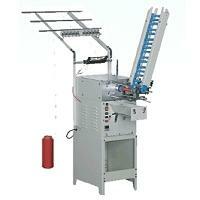 If the machine causes tangled thread, thread breakage, or needle breakage, the system will stop automatically. That is, there is Automatic Programmable Logic Controller System on the bobbin with high speed and low noise. Each sewing machine is built in a different type of bobbin winder, so we are offering five series of bobbin winder with different dimension according to the users’ needs and demands. Charming Star is the professional manufacturer of Bobbin Winder in Taiwan. We always offer our customers the best price and superior high quality, and establish a long term business relationship with you.